Celebrating the Small Victories of Motherhood. Episode 57 opens up the final month of our Healthy Mom series: Healthy Soul. 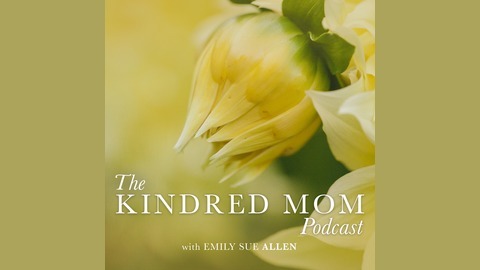 This week, host Emily Sue Allen talks with team member Lindsey Cornett and writer in resident Rachel Blackston about ways we find peace as mamas. 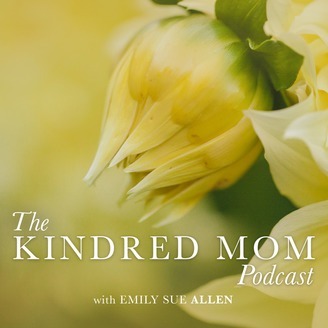 In the second segment, Emily talks with guest Lexie Stratman, a homeschooling mom and former childbirth educator about some disciplines to bring more peace and stillness into home life. Check out the Healthy Mom series as it unfolds here! Also, keep an eye out for Rachel Blackston’s essay mentioned in this episode, Every Mom is a Storyteller. It comes out later this month! Rachel Blackston loves a good story, deep connection with others, a savory piece of dark chocolate and a steamy mug of high octane coffee. She resides in Orlando with her lanky, marathon running husband and her three precious daughters, priceless gifts after several years of infertility. Rachel and her husband Michael cofounded Redeemer Counseling (www.redeemercounselingcenter.com). As a therapist and coach for 15 years, Rachel considers it an honor to walk with women in their stories of harm, beauty, and redemption. She specializes in working with women with a history of trauma and abuse as well as those struggling with infertility and sexual betrayal. She writes regularly for the blog Red Tent Living and enjoys speaking in the community on topics such as the Knowing your Story, Calling, the Enneagram, Sexuality, and Attachment. To contact Rachel, check out www.rachelblackston.com or blackstonrachel on instagram. Lexie Stratman is a mama of five living in the Pacific Northwest. She has taught childbirth education classes for over a decade and loves encouraging others to embrace the transformation God wants to do in their lives. She works with youth at her church and loves a strong cup of coffee.